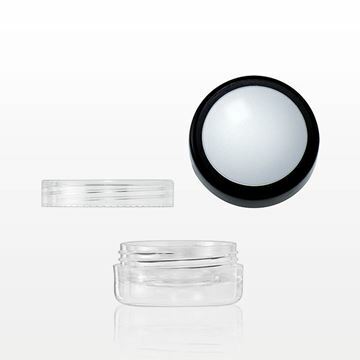 Sample or store your product in these sophisticated acrylic and ABS double walled jars. The double layer construction provides additional barrier from the elements. Perfect for cream based or powder based products. Sample or store your product in these stylish polypropylene double wall jars. 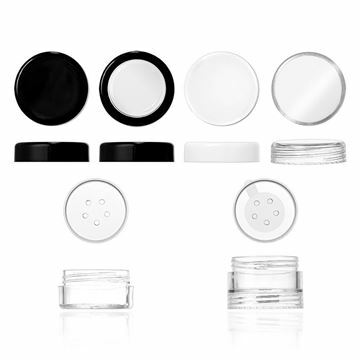 All jars include a white cap with foam liner insert. 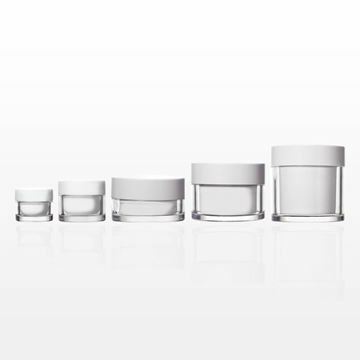 The 20 gram (Part # 29973), 30 gram (Part # 29974) and 50 gram (Part # 29975) jars conveniently have a disc liner for added protection. 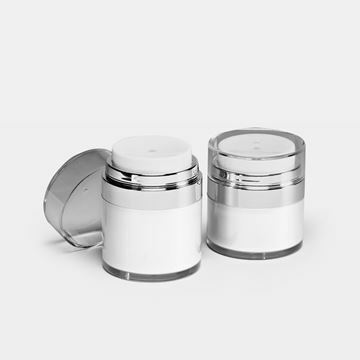 Dose out creams or lotions with this elegant airless jar. The airless pump technology helps prevent product contamination while ensuring the contents are entirely depleted from the jar. Fits with our corresponding white pump with silver trim and clear overcap, Part #29959. 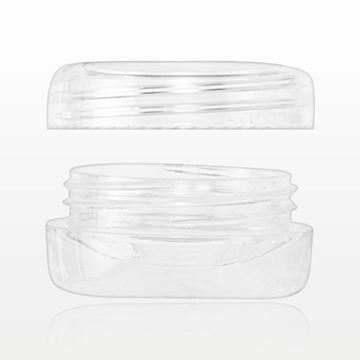 Sample or store your product in this clear plastic 5 gram double walled jar. Available with corresponding clear cap (Part # 29558) or flat window cap with black trim (Part # 29559). 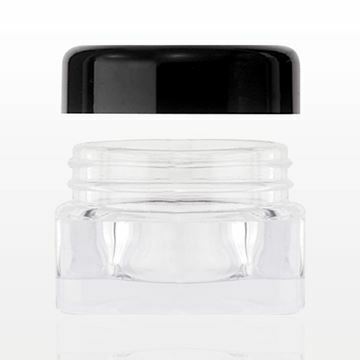 Sample or store your product in this plastic double walled 3 gram jar with cap.